SCH 140 Radiant Wood heater on legs. Capable of heating up to 140 sq metres. 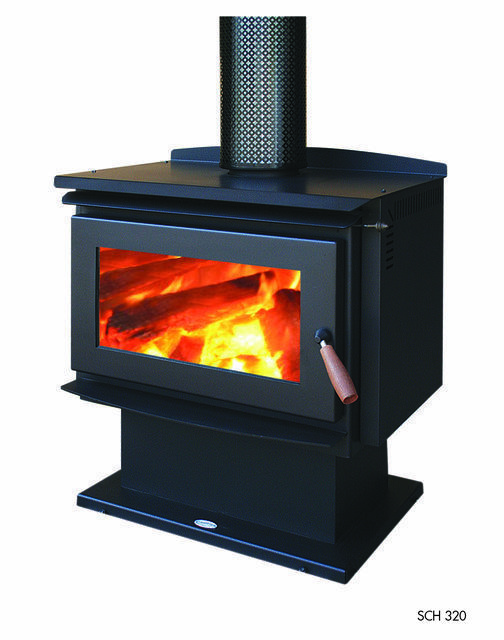 SCH 160 Wood heater. 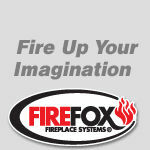 Capable of heating areas up to 160 sq metres. 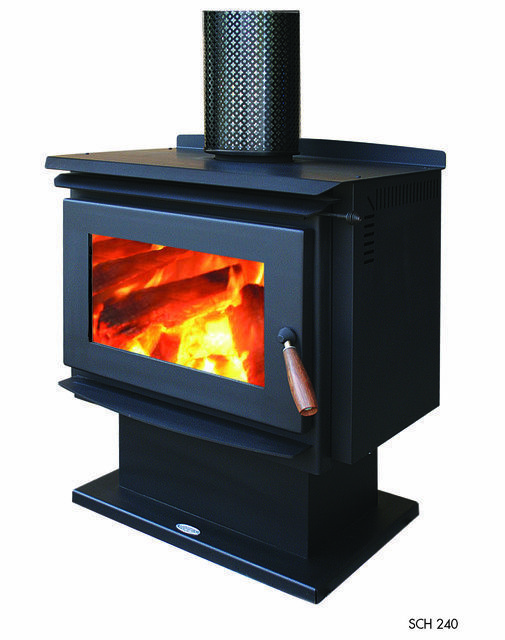 SCH 240 Wood Heater. Capable of heating areas up to 240 sq metres. 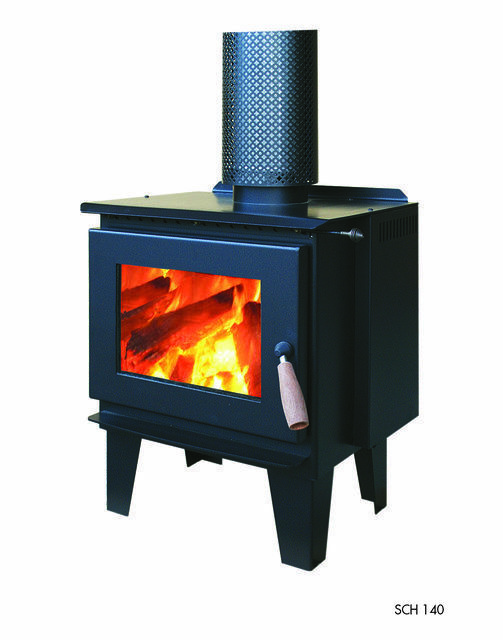 SCH 320 Wood Heater. Capable of heating up to 320 sq metres. 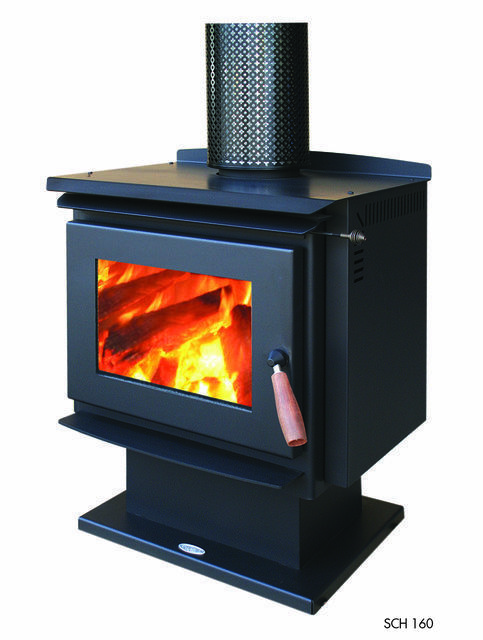 The greatest challenge for any modern day wood heater is its ability to heat large open areas cleanly and efficiently. Style and form are subjective aspects of any product however its functionality, value and performance is ultimately what's important. The added option of a fan increases the units heating capability by pushing the warm air even further into the area you wish to heat. There are four wood heater models in the range - SCH 140, SCH 160, SCH 240 and SCH 320 - One of which is sure to suit your requirements to make you warm and cozy all over. We build them tough right here in Australia - with a 10 year warranty - so you can be confident of keeping warm through many long cold winters to come. "One of the best ways to address climate change is to use MORE wood, not less. Wood is simply the most abundant biodegradable and renewable material on the planet "- Patrick Moore, Co-founder of Greenpeace, The Washington Times, January 2006. To achieve the optimum results from your wood heater, good quality, clean dry wood should be used at all times. The Firewood Association of Australia has members across the country who are bound by a code of ethics to provide well seasoned firewood for your wood heater. For your nearest stockist and more information go to www.firewood.asn.au Firewood - an environmentally friendly heating source. "Dear Bill, Have installed our Firefox SCH 240 woodheater and cannot believe how effectively it burns and heats the whole house in conjunction with our heat transfer ducting. Now we only need T shirts or light clothing on. Plus we only use half the logs to do the same job. Thanks again for a great product. Feel free to get a referral from us any time." "Dear Bill, The SCH 140 wood heater has been installed and I confirm that the unit is exceeding expectations and is an asset to the property. Thank you for your assistance." "Dear Bill and Debbie, I would like to write a few words about our (your) heater. I recently had a Firefox model SCH heater installed in our sunroom. As a sunroom it has many windows - about 80% of wall area on 2 walls. In winter it can get cold - but not any more! On a recent cold spell the heater made the 55 sq. meter room too hot and had to be put on minimum setting. The build quality of the product and the willing and helpful assistance of Bill and staff made our purchase very satisfying." Gwen and Graeme Robins 9/4/13. Hi Bill, "Impressed with the build quality of the new unit and its nice large window. The airflow into the fire is excellent and makes lighting and burn control very adjustable when a smaller fire is required. The new unit seems much more efficient and burns less wood than the old one and puts out more heat. It heats our large open plan family room with cathedral ceilings and after a few hours warms the whole house with no need for our ducted heating. Very happy with the new unit." Geoff and Judy Rossvear. 19/7/13. "Hi Bill and Debbie, Really happy with the wood heater - that's a great fire and trust me I have seen a lot of them back home in Latvia. It was the right choice to go with the SCH 240 because of the extra power - I am now warm in a really comfortable temperature in all areas." Arturs Landsbergs. 11/7/15. "Bill, Just a short note to congratulate Firefox on producing a great product. The SCH 160 we installed last year was one of the best investments we have made. It heats the whole house and is more efficient than our daughter's 'other brand' wood heater. Keep up the good work and I have recommended your prodcut to many other people". David Brown. 30/6/16.